I'm sure all you Eyrie owners out there are excited to celebrate Eyrie Day! If you're a true Eyrie fan, you probably already know which Eyrie colors you love the best, but maybe you're thinking of painting your Eyrie a new color. 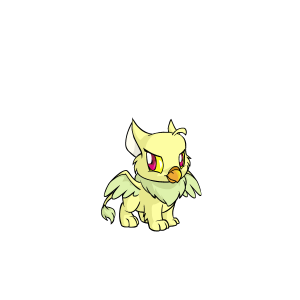 Perhaps you're a new Eyrie owner and don't know what to do with your awesome Neopet! Whatever your reason, I've compiled a list of what I think is the top five coolest and best Eyrie colors for you to consider painting your Eyrie, along with some wearables you might consider. Whether you like to create roleplay characters for your pets, write stories about them, draw them, or just dress them up, each one of the Eyries listed below will be a lovely addition to your Neo-family. Let's go! Obviously a lot of these color options and wearables are sometimes expensive, but they can be so worth it. For the wearables, try asking your Neofriends if they have any, or hitting up the Customization Chat to see if anyone is willing to trade or sell, depending on if they are NC or NP items. There are also ways to win some of these wearables via NC-Mall games (i.e. JubJub Power Bounce, Blumaroll, etc. ), or through Neopia's many shops and game challenges. As for the colors, you can always try for a lucky zap with the Lab Ray if you have one. My suggestion is to go on the Neopian Pound chat boards and look for one of the above Eyries up for adoption, or "UFA", or to try to trade a pet you already have for your favorite Eyrie. If you're a lucky Neopian who has oodles of Neopoints sitting in the bank, you can always go out and buy your own paint brush! Pick an Eyrie with a nice name and slap some color on him or her. You can even buy Eyrie Morphing Potions! A Darigan Eyrie Morphing Potion is available for only a small fortune. Or if you found the perfect name but the species is something other than the magnificent Eyrie, you can buy a basic Eyrie Morphing Potion and then head over to the Rainbow Pool with your Paint Brush of choice! So that's all, folks, go spruce up your Eyries. And don't forget to have a wonderful Eyrie Day! Not everyone can pick up that tree. This week, one of our investigative reporters was fortunate enough to receive an inside tour. The following transcript is their report.